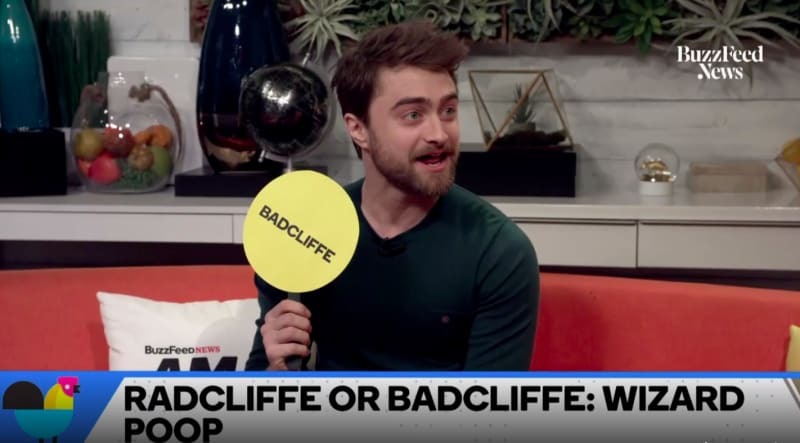 Weekly Round-up: Daniel Radcliffe Discusses Hogwarts Bathrooms, Jessica Williams at Sundance Film Fest & More! 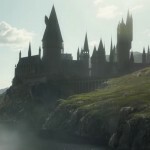 This week in the Potterverse, we were treated to the reveal of a new surprise in store this April at Warner Bros Studio Tour London – Gringotts Wizarding Bank! We also celebrated special honors for production designer Stuart Craig and cinematographer Roger Pratt, got excited for the release of Harry Potter Pop PEZ coming soon from Funko, a movie marathon at the Prince Charles Cinema in London this April, and a special line of limited edition Harry Potter movie stills from Classic Stills. 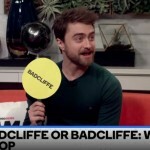 In this week’s round-up, we cover an interview with Daniel Radcliffe, new projects featuring Warwick Davis, Katie Leung, Eddie Redmayne, Johnny Depp, Bill Nighy, Helen McCrory, Ciaran Hinds and Toby Jones, Jessica Williams at Sundance Film Festival, Jason Isaacs in a new video from Lumos on his visit to their young people’s forum last year, and Hero Fiennes-Tiffin on the cover of Wonderland magazine! Wouldn’t we all, Dan! Watch the full interview here. The first trailer has arrived for the upcoming Sky One animated series Moominvalley based on the Moomins books and comic strip by Finnish illustrator Tove Jansson. These recognizable round, white hippo-like critters are headed to the small screen and two of the characters are voiced by Harry Potter alumni. Warwick Davis who played Professor Flitwick and Griphook the Goblin, takes on the role of Sniff, a creature who lives in the house with the Moomin family and isn’t much of a risk taker but really appreciates valuables–sounds part Niffler! Too Ticky, a wise woman in the village who is much the opposite of Sniff, out helping solve Moomin problems, is voiced by Harry Potter’s Cho Chang, Katie Leung. Get a sneak peak of program below before the 13-episode series premieres on Easter Sunday. Warwick Davis known to Harry Potter fans as the Head of Ravenclaw House, and maybe for his roles in the Star Wars films, but thirty years ago he also starred in the popular fantasy film Willow directed by Ron Howard. This week Davis celebrated the 30th Anniversary digital re-release of the film via Twitter with a throwback photo of he, Howard and his Willow castmates at Cannes in 1988. The 30th Anniversary special edition of Willow is currently available. Jason Isaacs, Harry Potter‘s Lucius Malfoy, attended a Lumos forum for young people last year, an experience he found ‘humbling and inspiring’. In a recent video posted by Lumos, he speaks about the experience of meeting young advocates helping to spread the importance of ending the institutionalisation of children. Watch the video below! Potter fans may recognize the actor on the cover of the February issue of Wonderland as 11 year old Tom Riddle from Harry Potter and Half Blood Prince. He’s all grown up and playing a fictitious version of another famous Harry in the upcoming film After, screen adaptation of the fan fiction by Anna Todd based on the life of English singer songwriter Harry Styles of One Direction. Watch for the spring issue of Wonderland with the Fiennes-Tiffin interview and catch him in theaters After this April. The actress best known to Potter fans as Narcissa Malfoy, Helen McCrory once again plays a mother, sans the platinum tresses, in the 8-episode BBC Two drama series MotherFatherSon as the ex-wife of an American businessman, played by Richard Gere in his first TV role, dealing with her self-destructive adult son. She is joined in series by Ciaran Hinds,who Potter fans may recognize as Albus Dumbledore’s estranged brother Aberforth. Hinds will play the father of Gere’s character and will be seen in flashbacks. Take a first look at MotherFatherSon which will air on BBC Two sometime in 2019. A US distribution partner has yet to acquire the series. Refinery 29 co-hosted the event with Sundance Film Festival – read the full report on Williams’s talk here. 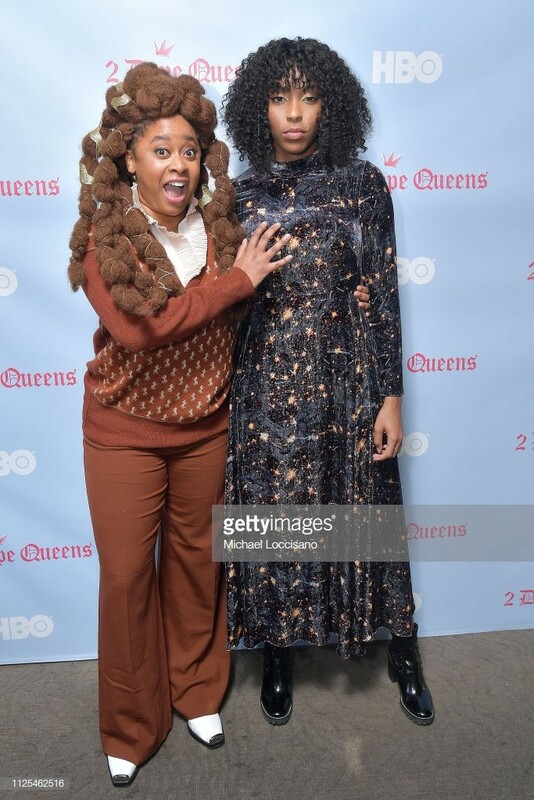 Williams also took part in an informal conversation at Sundance, about her HBO comedy 2 Dope Queens, with its new season starting this month and featuring a host of guest stars, including Daniel Radcliffe! Read a full report on the talk here. Toby Jones has co-created and written his own BBC Two series with Tim Crouch, and a first-look has now been released! See a first-look image below, and read more here. 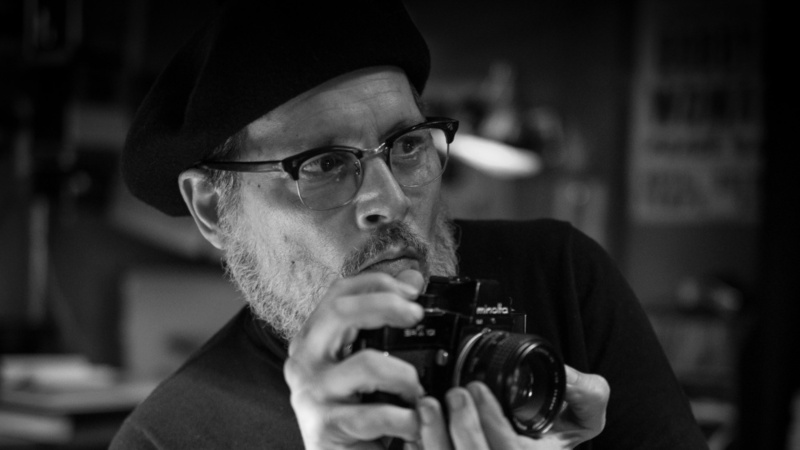 A new movie about celebrated war photographer W. Eugene Smith will star Johnny Depp (Gellert Grindelwald) and Bill Nighy (Rufus Scrimgeour), and is a thriller based on Aileen Mioko Smith and W. Eugene Smith’s book of the same name. It follows Smith “as he takes on a powerful corporation responsible for poisoning the people of Minamata, Japan, in 1971″. See Johnny Depp as Smith below, and read more at Variety here. Hero Fiennes-Tiffin (young Tom Riddle) features on the cover of the Spring 2019 issue of Wonderland magazine, promoting his upcoming role in After, a movie adaptation of a Harry fan fiction – not Harry Potter, though! Anna Todd’s fan fiction has over one billion views online, and is focused on ex-One Direction member, Harry Styles. The film releases this April – see the cover on Hero’s Instagram below, and pre-order the issue here. 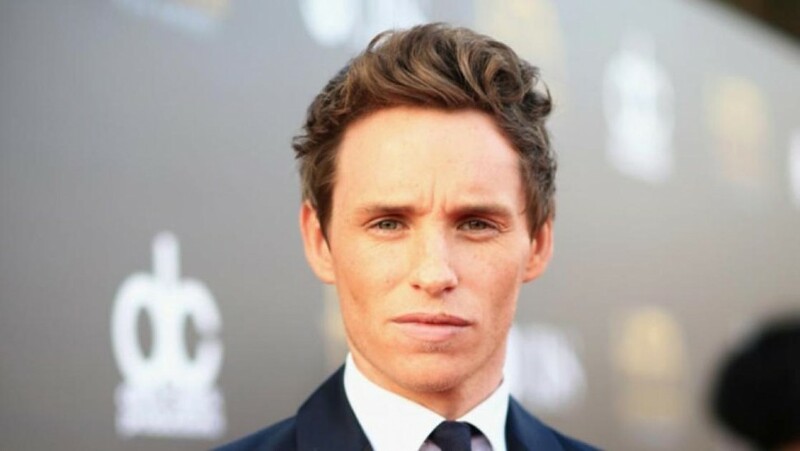 After pre-production on the film was put on hold in December, The Trial of the Chicago 7, which stars Eddie Redmayne, Sacha Baron Cohen, Seth Rogen, Joseph Gordon-Levitt, Jonathan Majors and Alex Sharp, is back on track and heading to market! The film will tell the story of the 1969 trial of seven people charged with conspiracy after countercultural protests in Chicago at the 1968 Democratic Convention. Redmayne will portray Tom Hayden. Read more here, and stay posted for future updates! That’s all for this week! Check out our previous round-up here.